[Update]: We are currently pausing this Event Serie. As soon as it’s back on we will let you know. 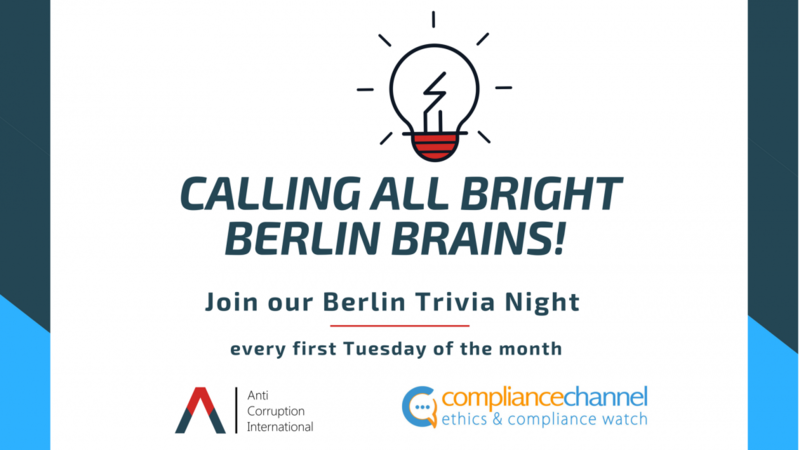 We are happy to invite you to Anti Corruption International & Compliance Channel’s Trivia Night (former famous “Pub Quiz”). December 5, 2017 – Anti-Corruption Special on the occasion of Anti-Corruption-Day on December 9!